Roses and Cigarettes – Acoustic Sessions – Album Review | The Ark of Music – The best music in the world…you never knew existed. 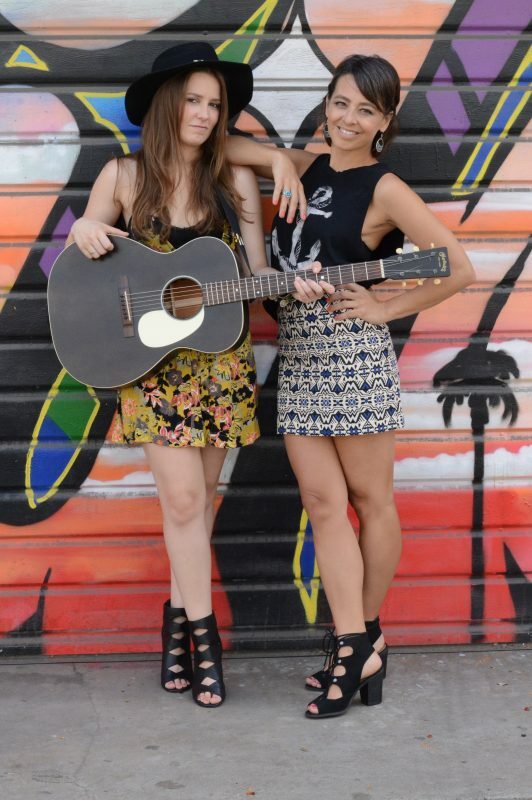 Inspired by the Ray LaMontagne song by the same name, the Los Angeles, California-based Roots-Rock duo known as, Roses & Cigarettes, formed in 2013. Consisting of Jenny Pagliaro (vocals) and Angela Petrilli (guitars, backup vocals), the two bonded quickly over shared musical interests in artists such as Fleetwood Mac, Eagles, Bonnie Raitt, Patty Griffin, Sheryl Crow, Miranda Lambert, and others. Even a couple battles with breast cancer couldn’t keep Jenny out of the action, as the band released their self-titled debut album in 2015, and are set to release their second full-length album in the near future. In-between then and now, they’ve given us the wildly spirited and oft cathartic 6-track EP, Acoustic Sessions, (containing three fantastic acoustic covers from their debut album) for our listening pleasure. New love has a new theme song in Feel The Fire. Think: Belinda Carlisle. The bluesy heart-breaker, Shelter, gives a sweet little acoustic solo at the 2:40 mark. There’s just not enough of this stuff in music today. Tastefully minimalist. Soulfully stripped-down to the essentials. Dense with substance. 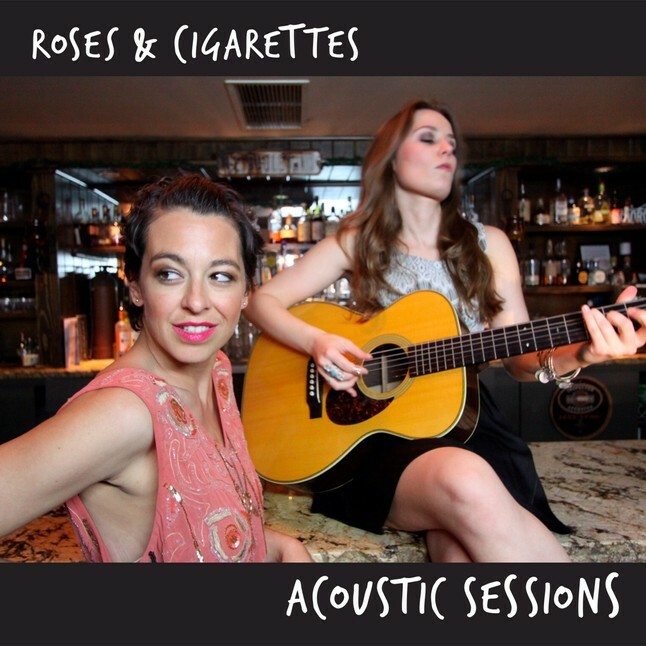 Roses and Cigarettes’ latest album, Acoustic Sessions, stays pure and true to its acoustic intentions, while simultaneously offering brilliant and shining vocal performances which can more than keep the attention of those who prefer a full-band sound. Devoted shamelessly to love of all kinds—love of self, new love, broken love—the record’s six tracks offer not only relatable, emotive and potentially nostalgic lyrical content—but also a satiating bit of musical composition and production. For a straight-up acoustic collection, it does the trick, and will certainly leave listeners anticipating their forthcoming album. BELOW: Listen to Roses and Cigarettes’ album, Acoustic Sessions, and connect with their website and social media platforms. Please support Roses and Cigarettes by visiting them online, and playing, downloading, and/or purchasing their music, or attending a live show! And, as always, thank you for supporting real music!